When nested together, the Solo Stove 3 Pot Set is an extremely compact cookware system that is easily packed away. 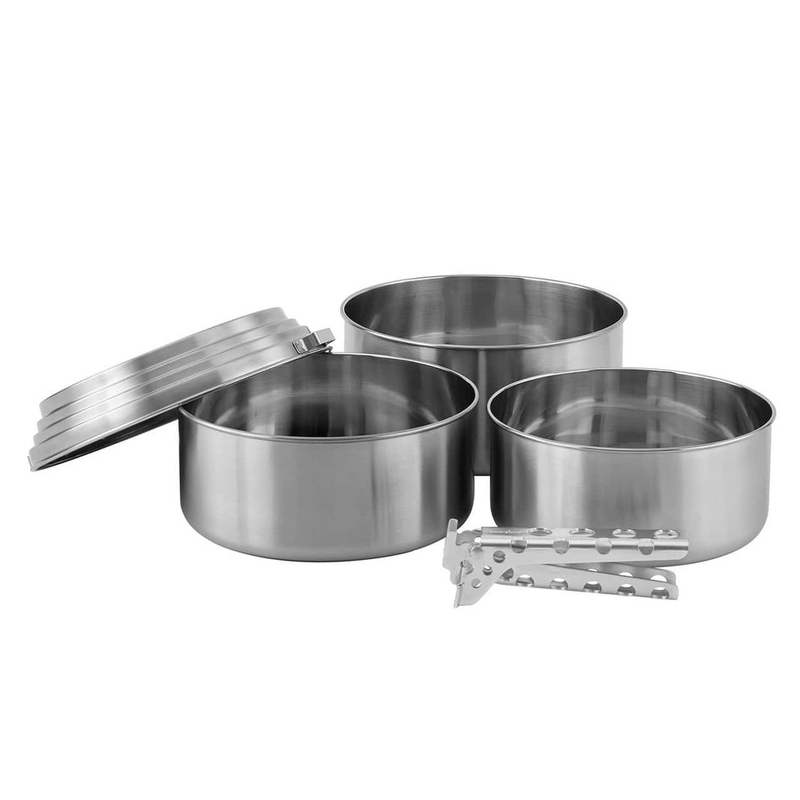 Made with premium grade 304 stainless steel, this pot set is rugged, durable and highly functional. The Solo Stove Titan serves 2-4 people, and reduces weight and adds extra space to your backpack because you don't have to pack in fuel. Why? The Solo Stove Titan uses twigs & other biomass for fuel found in your surroundings. 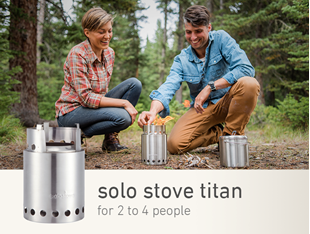 The Solo Stove Titan is a natural convection inverted downgas gasifer hiking/camping stove.